In my mind, there are two classic tributes to said meatball, both of which are TV commercials and both of which star a humble hero (in addition to the meatball, that is). The first, known as “That’s a Spicy Meatball,” was for Alka-Seltzer (see it here). It was made in 1969 and raised the modest meatball to cult status. You’ve got to hand it to the actor in this commercial-within-a-commercial, doing heroic multiple takes of eating spaghetti and meatballs. And that oven door at the end? Priceless. The second commercial, also from 1969, is for Prince Spaghetti (see it here). The commercial is set on a Wednesday evening, as Anthony’s mother calls him home for dinner by shouting from an open apartment window in Boston’s North End neighborhood, “Anthon-eee! Anthon-eee!” Our hero Anthony comes running breathlessly home just in time for his plate of Prince Spaghetti and, one imagines, meatballs. 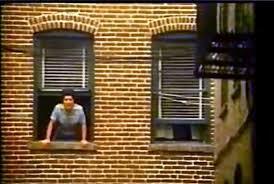 As a result of this ad, any kid growing up on the East Coast in those days could tell you, “Wednesday is Prince Spaghetti day.” And Anthony’s smile at the very end could tell you all about the joy of being a kid and playing outside until the very last minute. So here’s to meatballs (spicy or not). To heroes (young or not). And, of course, to meatball heroes (extra sauce or not). It’s true! I love the idea of meatballs, too – even tho I’m more, uh, vegetarian-prone (even as babies, our parents let us ‘choose’ our diet by watching our faces. Amy, who you know, loved meat – her first sentence in fact was ‘more meat’ – while mushed meat made me cry, spinach made me smile). My iconic meatball filmic memory is that disney cartoon film.. one of the first I saw. My mom said I loved it.. the romantic scene where the two dogs had dinner in the alley outside the restaurant.. okay, I’ve got to find it. Funnily, I just served my husband spaghetti & meatballs night before last. From this great fresh homemade company at a local Saturday market. I had it with just tomato sauce. Here’s to meatballs, and heros. And thanks for two iconic ad memories! Mama Mia. Jill, thanks for the Lady & the Tramp memory — I love that scene! p.s. I’m going out to write soon, at our local South Kensington branch of Cafe Nero (italian, far better than Starbucks) and they have meatball panninis: I used to get them all the time. I might just get it today. I also love Swedish meatballs. Come to think of it, so many cultures have a meatball. Or the meatless version: falafel. third and that’s it – sorry so many – but I found the scene!